The ultimate garden ornament and a wonderful present! 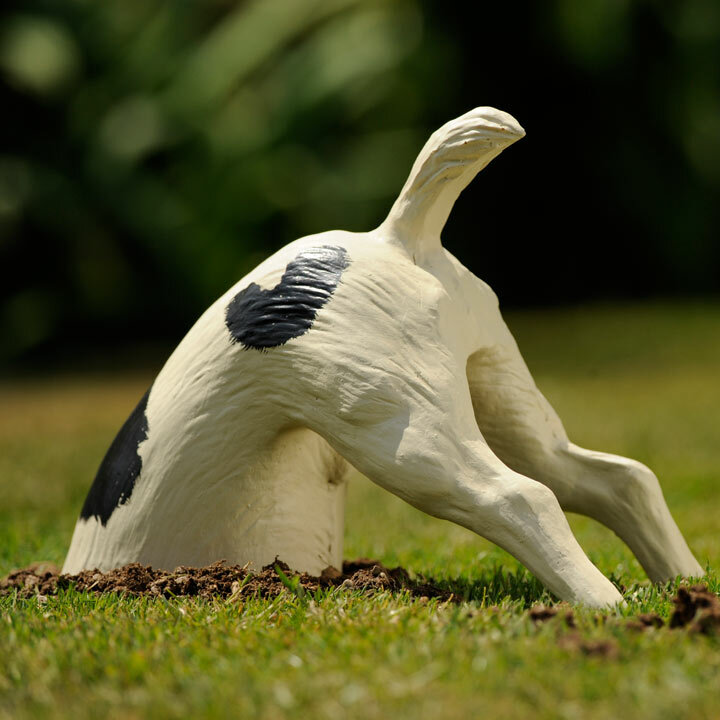 This life-size back half of a Jack Russell terrier can be made to look busy digging up the lawn or used as a doorstop in the house. 25cm to tail. These diggers were first made by the famous Jonathan Eaton, who invented the concept of the digging dog and who sadly died in 2002.